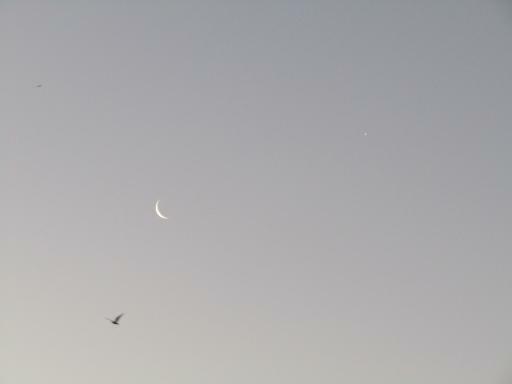 The Moon as a slither, almost not there at all… look at this picture – what does it say to you? How does it make you feel? Where are the birds going and does it hail a change or new beginning? Spend 5 minutes writing, try not to think to much about what you are writing, instead just write even if it is you just describing the scene. Leave what you have written for about a month and then go back to look at it. You may find there is already something poetic trying to break out of the muddle of words. Or maybe just one line – now is the time to craft it into your poem.